An innovative biotech company developing compostable polymers from marine waste such as langoustine shells has had the Royal stamp of approval from Prince Charles. Langoustines from the North Atlantic are a major source of chitin, which the British business Cuan Tec transforms into the more soluble product chitosan that can be used in applications including flexible film. Cuan Tec is the first company to achieve the biological extraction of chitin from shells on an industrial scale and is partnering with UK retailer Waitrose on plans to use the packaging as an alternative to conventional plastic film for fish products. 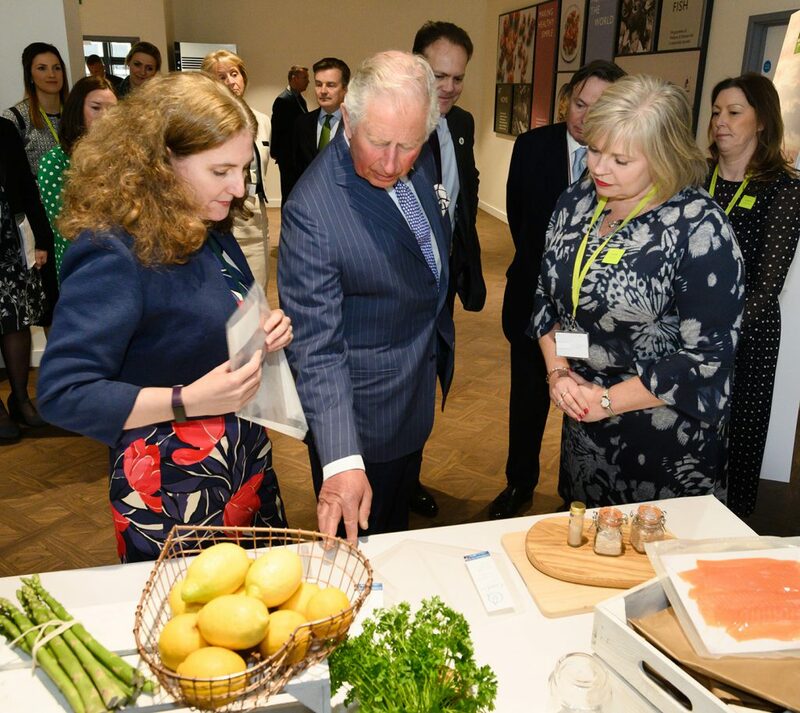 The prince was shown the material among other products and innovations as he officially opened Waitrose’s food innovation studio at its HQ in Bracknell in Berkshire. The retailer is already using vine leaves produced as a by-product of tomato growing to make punnets for its Waitrose Duchy tomatoes.